Think of your carpet like a giant sponge. Dust, allergens, mites, sediments, and bacteria accumulate on and within the fibers and are extremely difficult to remove. These particles are kicked up into the air when we move over a carpeted area and some of it is invariably breathed-in. Regular vacuuming can help alleviate some of the contaminant build-up, but it does not target the more embedded and trenchant soils. This is where a good yearly professional carpet cleaning comes in. An annual professional carpet cleaning will eliminate these tough-to-remove contaminants and is a great way to maintain healthy in-home air quality. Indoor air pollutants can have a significant impact on health. Especially in homes with young children, who spend much of the time on the floor, dirty carpets can greatly increase our exposure to these pollutants due to direct inhalation of them. Professional carpet cleaning is one of the best ways to eliminate the source of these pollutants, and can help reduce the severity of respiratory conditions such as asthma and allergies. Moreover, according to the US EPA, many of the soils in carpets can also trap toxic airborne gases. When carpet fibers are agitated, these toxic gases are also released and are inhaled to the detriment of our health. For this reason, homes with dirty carpets often have air quality that is worse than the surrounding outside air. Professional carpet cleaning can remove these toxic contaminants and help you breath easy. Unlike mere vacuuming, professional carpet cleaning often utilizes high-temperature steam, professional-grade cleaning agents, and specialized drying equipment. These service tools help other areas related to our health as well. Hot steam eliminates bacteria that can make us sick. It also helps to defeat dust mite infestations, which can add to airborne contamination in the form of insect feces and molted body parts. 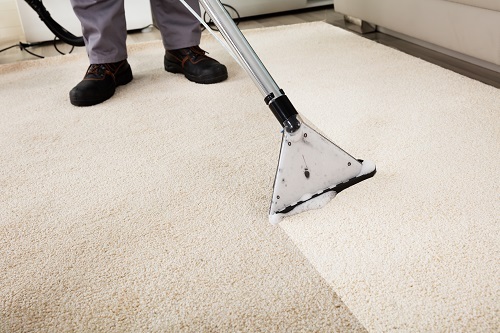 Professional carpet cleaning also removes odors, both obvious and trapped, from carpet fibers. And lastly, professional carpet cleaning ultimately removes moisture from carpets. This is less of a problem in an arid desert climate such as Las Vegas, however it can become an issue if using rented cleaning equipment that does not properly dry the unique type of carpet fiber in your home.